BeyondTalks is a Boulder-based project that seeks to promote wellness and social improvement through adventure travel and experiences. BeyondTalks hosts adventure, TED-style talks to inspire people to get outdoors and to enjoy the world around them. 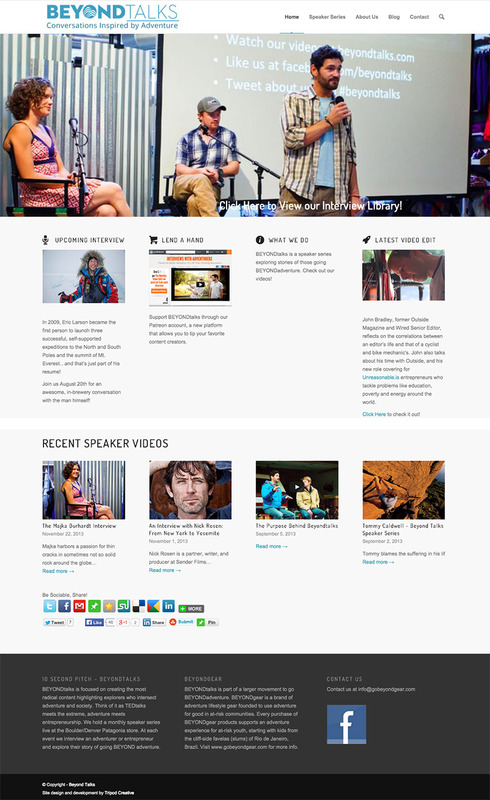 Tripod Creative was approached to build them them a web presence that reflects their mission.